A collection of short stories from some of your favorite authors. You think you know darkness? Think again. 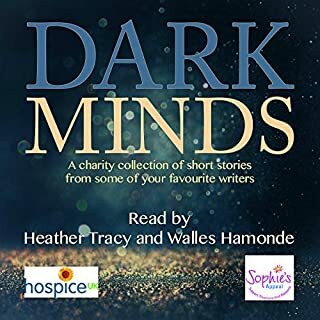 Bloodhound Books presents Dark Minds - a collection of stories by authors who have come together to produce an anthology that will lure, tantalize, and shock listeners. The Case of the Missing "I"
Chilling, Difficult in places, but damn good! 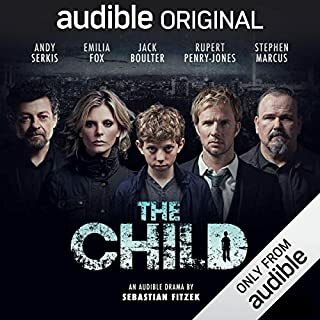 Having enjoyed the Ryan Series thus far I was a little hesitant when I heard that we were straying away from the norm (and brilliance of Jonathan Keeble's narration), and venturing into an audio drama. I must admit this surpassed my expectations. The actors played their parts superbly, and as Ryan fans will know, this story filled in a major part of the backstory to the series. This means, however, that fans will know how this particular story pans out (in a general sense), but this doesn't detract at all from the enjoyment of the story. 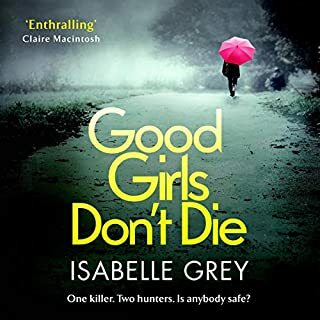 It had me gripped right from the word go, and ended up listening right through in one sitting..(a rare occurrence for me!). I can't recommend this and indeed the rest of the series enough. In fact those new to this series may benefit from listening to The Infirmary first. 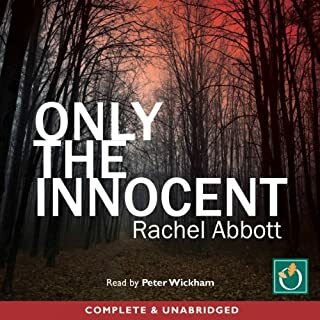 I'm looking forward to the continuation of the series, and hope that we can enjoy more Audible drama's interspersed within the main body of the series that is beautifully narrated by Jonathan Keeble. 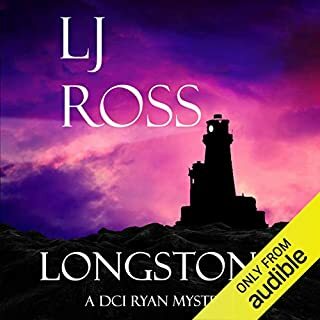 I have read all of L J Ross's DCI Ryan books so far (except The Hermitage and I'm waiting for the audio version to come out) and when I heard about this one I was so excited. Then when I read the blurb I was a bit apprehensive. No Jonathan Keeble!! How can you have a Ryan book without Jonathan? He's an amazing narrator. Nevertheless I pre-ordered and when it landed in my library yesterday I couldn't wait to listen. There was no need to be concerned. The book is AMAZING! This book is a prequel to all the rest, and I knew how it would end, that didn't detract from the story. 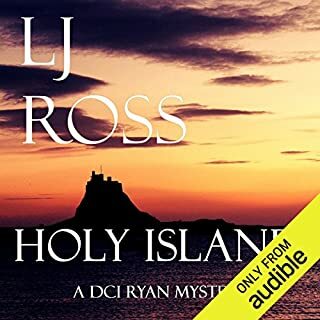 For anyone new to Ryan this would be a great place to start, and the story ends where Holy Island begins - and you will fall in love with Ryan!. 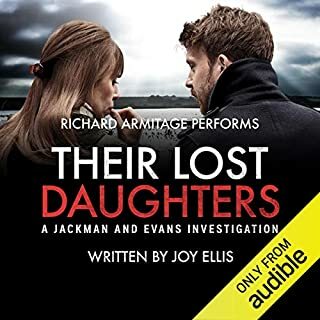 For anyone who has read the other DCI Ryan books this is a must-listen. It is a quality production. 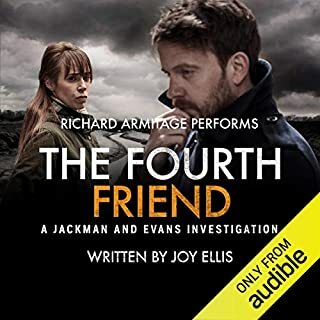 Many of the cast are household names - Tom Bateman as Ross, Kevin Whately as Phillips, and Bertie Carvel was absolutely chilling when speaking the killer's inner thoughts! The dialogue felt completely natural and the story moves along at a good pace. Hermione Norris's narration was also impeccable. I could listen to her all day! In fact I did! Nothing much got done yesterday so that I could give all my attention to this! 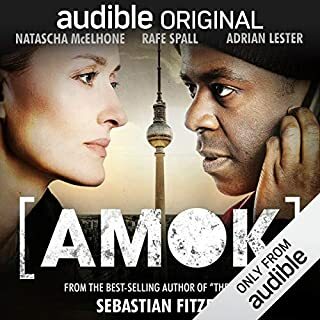 I still love the original audio books narrated by Jonathan Keeble but it would also be great to have a few more of these multi-cast versions too. LJ Ross is a wonderful storyteller. I loved this book. this is the first audio book I've listened too. listened to it in a oner. my living room has been crying out for a spring clean for months. Today I went into every corner as I listened to this on my phone. I really hope they use these actors to make a DCI Ryan TV SERIES. the writing of this production is breath catching, literally ! the music scared me witless !! I literally could not stop listening to this, horrifically good and would make an amazing television series. It actually doesn’t feel like you are reading a prequel that was written after the other books, but has the real feel of the true beginning of the books. It has made me want to read holy Island again, not many books do that for me once I have read them that’s normally it for me. But not this time, I can’t wait to start again. I have recommended it to my friends hubby who has read all her books as well ,and family who are enjoying the books. 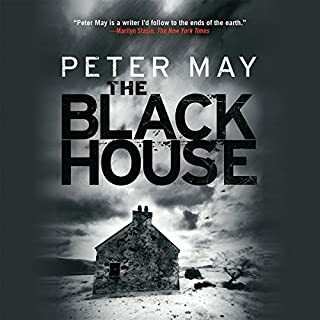 As I have a holiday home In Northumberland i absolutely love reading these books , I can’t wait for Longstone as I can see it from my window. Thank you LJ Ross as your writing has made me fall in love with reading all over again. 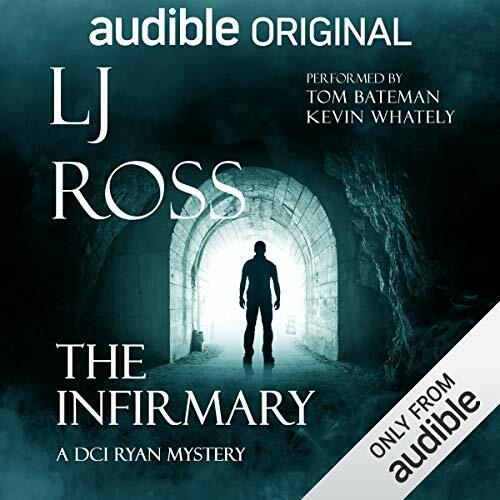 The Infirmary, the newest release in the fantastic DCI Ryan series takes us back in time to before the Holy Island (book 1) events occurred. This prequel to the series gives us an insight into the early days of the team and the backstory of its members. 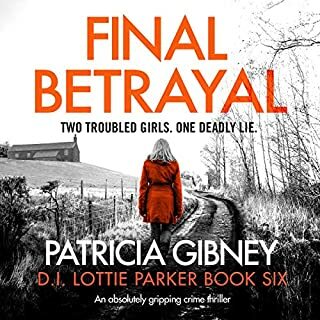 It’s captivating for all who are familiar with the series, while for others it’s a brilliant introduction to DCI Ryan, his crew and their gripping cases. 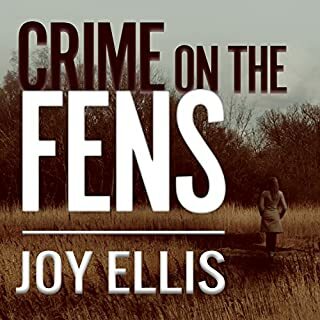 All in all, it’s another fascinating story and a must-listen-to audiobook for the fans of the DCI Ryan mysteries. LJ Ross never disappoints! 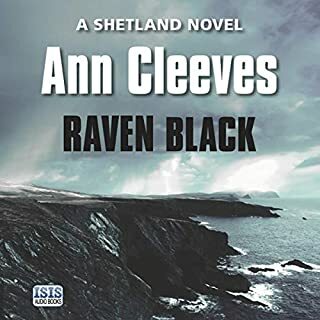 I very nearly gave up on this recording very early on as it was immediately obvious that we would know the ending as the story is set before the Holy Island series of books. However the performances of the actors were excellent and I really liked that it was like listening to a play. Because we knew the ending, there was very little suspense but the author filled in the information prior to the other books. Overall enjoyable. I was looking forward to this book and though the narrators were fine I didn’t like all the background noise. Much preferred the rest of the Ryan books. Wow, what a story, so glad I got it as it made the whole DCI Ryan series seem even more real. I have grown to love them and will continue to enjoy them, always eagerly waiting for the next. The Narration was excellent, a bit of getting used to the action and background noises, but loved it by the end. Thank you to all. I always enjoy the DCI Ryan books by LJ Ross. Their usual narrator, Jonathan Keeble, makes them easy to listen to and does a great job distinguishing the characters from one another. But this radio-like drama was just too much. Between the cheesy dramatic music, background voices, noises and sound effects, I could not get through the 2nd chapter and gave up - which is why I didn't rate the story. 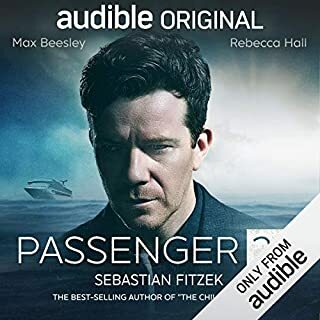 If you are used to plain and simple audiobooks and not overacted, over-dubbed dramas, I can't recommend this. 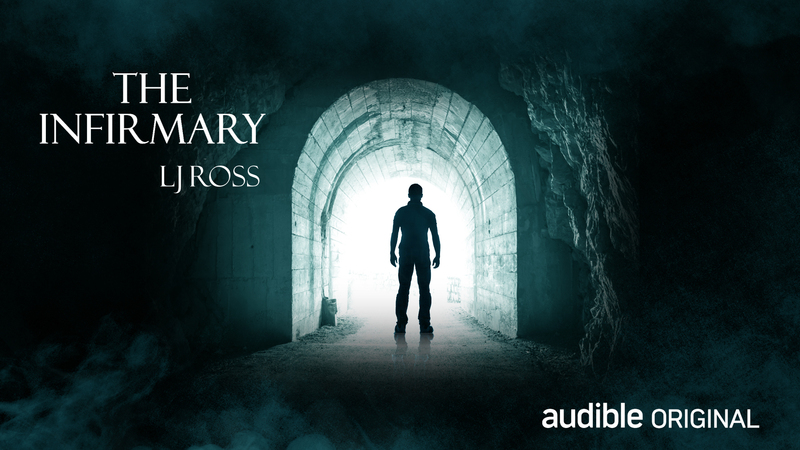 I loved each and every moment of this Audible Book. The actors were matched well with the characters. The sound effects were great! Like listening to a radio show from the 1920's I would think. So, how cool to know why out great grandparents loved their radio soaps. Thanks for an awesome book and experience. I have read all her books and this was a great prequel to rhem. its not much of a mystery if you can see the plot lines coming a mile away. melodramatic & boring. loved the characters being played by real actors. this is like listening to a t.v. show. I loved it! 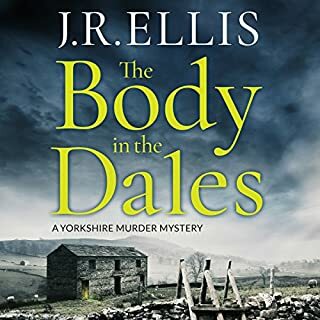 I immensely enjoyed listening to the other LJ Ross books on audio as narrated by Jonathan Keeble. Unfortunately this story has an ensemble cast and, because of its various narrators, background sound effects, and overly dramatized music and direction, it's not at all enjoyable. Gory details are glorified rather than clever writing with bits of humorous dialogue. The voices thoughtfully created by Keeble's entertaining narration is sorely missed. I'd skip this title if you listened to the other books in the series. In fact, I'd skip it altogether. 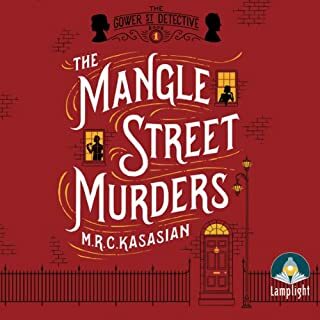 I did find it strange listening on audible to the very beginning of all the books; I keep wondering how this came about. However not to be disappointed, this once again kept me spellbound and even brought me to tears at the end. Now just waiting for the next brilliant read! As an American who lived for three & a half years in England's northeast, it was great to be reminded of places I had been and to hear those familiar accents. As someone who loves gripping stories, it was mesmerizing to experience the complexity of this plot. In addition, the multiple voices and sound effects added so much depth to the experience of hearing this story; the effect was to draw me into the story and make it so very real. 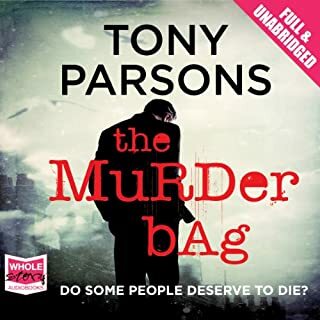 My only criticism is the author employed elements to mislead the reader that seemed quite unlikely and manipulative in hindsight, that is, after the reader knew the identity of the killer. However, I would encourage all lovers of detective mysteries to experience this audible drama. I loved it.